The remains of Old Prairie Center Church, now being used as a barn. OCHS photo. Usually I title these discussions as “day” rather than month but that does not adequately describe this adventure. 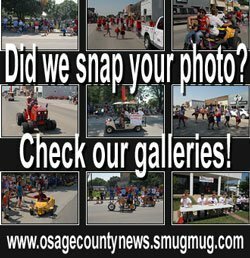 It began with an email from a person who had looked at Wayne White’s website, www.osagecountyonline.com. (Please check it often if you don’t already.) His query was innocent enough. Esther Little and I drove out there on the way home one evening and found Prairie Center on the south side of the road at 125th and Valencia Road. We saw no other cemeteries in the area. John learned that the Sharon Church was one mile west and one-half north of the Prairie Center Church. Neither of us found any other evidence of a cemetery at the Sharon Church and we believe this to have been an editorial error. While John was “out in the fields,” I used Newspapers.com to look for burials in cemeteries with any of those names and I was able to add 14 burials that were previously unknown. “This cemetery is the second location of Prairie Center Cemetery and was sometimes called the new cemetery. The old cemetery was located one mile east on the opposite (north) side of the road. On the online map it is designated as Unnamed #34. The map does show it on the wrong side of the road however. This cemetery, along with Prairie Center Church, is/was located in the southwest corner of Section 10, also in Burlingame Township. It is no longer a working cemetery. “When I looked at the map (and then drove up to the ‘new cemetery’), I had the section numbers confused. John Hill, who is a tenacious historian, solved the problem by driving the area and talking to the farmers. John learned that the church had originally stood in the corner of Section 10, but it had been moved further north. “All of these burials are now located in Simmerwell Cemetery which is located near Auburn, Kan., in Shawnee County to the north. 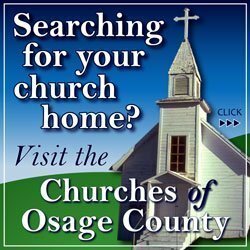 For more information about Osage County’s cemeteries, see Osage County News’ Cemeteries of Osage County. Originally published in The HEDGE POST, Volume 43, Number 2, May, 2017, by the Osage County Historical Society Inc. Reprinted with permission. 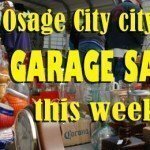 For more information about the Osage County Historical Society, visit at 631 Topeka Ave. Lyndon, KS 66451, call 785-828–3477, see www.osagechs.org, or email [email protected].